That might be our longest description ever. Also, how can these not be awesome? Also #2, how have I waited this long to try them? That's blame the fact that I couldn't decide between buying these or the awesome looking black raspberry version... but if they were on side by side and on sale for 2 for $5, then you just buy one of each, but no matter, stop blabbling, start crunching! First glance and all I see is chocolate, chocolate, chocolate. 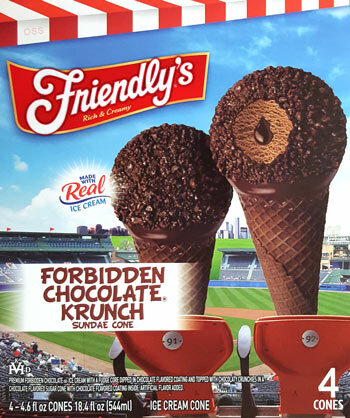 These are pretty much the same size as a drumstick, but the thing is, drumsticks don't have a chocolate cone offering right now (at least in the U.S. anyway). Why is that Nestle? 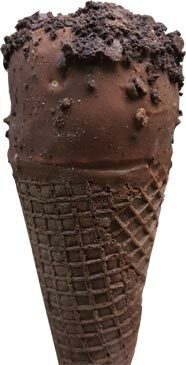 I remember the cookie dipped cookies & cream had a chocolate cone, but I can't think of any others offhand. Anyway, if I was nitpicking here, I would complain that the chocolate crumbs on top look nothing like the box art, but I wasn't honestly expecting perfection their anyway. Let's keep this simple, it was love at first bite. It's just a fun neat treat with more than enough chocolate to go around. The crumbs on top work well, the fudge core goes all the way down and keeps things nice and flavorful, and ofcourse I love the crunchy chocolate cone. I mean, how could I not? 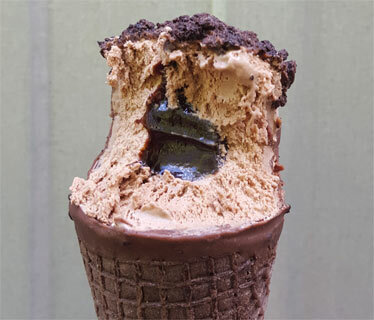 The only minor problem I had was that the very top of the cone had kind of fused to the chocolate top and made for a small gummy rim to the cone. Nothing detrimental, but odd enough to point out. I made very short work of this cone. I wanted another. I did not have another. 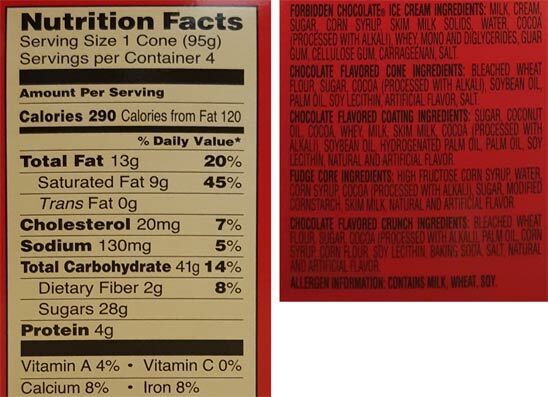 On Second Scoop: Yeah, I really really like these, despite the fact that I can inhale them in about ninety seconds. Even the top of the cone was perfectly crunchy this time. Just so much fun chocolate going on here. Big fan. Well done Friendlys. Easily my fav cones! I also wish someone would come out with a dang pretzel cone already! I always think of the ones you got online Dubba and am tempted to shell out the bucks to try them! they make pretzel cones?! i've never seen them! I'm surprised you didn't comment how the product didn't look like the picture. It's not covered in cookies.